Personally my favorite activity. 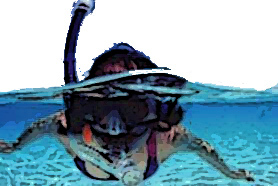 Snorkeling is something you can do from nearly any beach. Just look for some rocks or coral in the water and you will see an amazing variety of fish and wildlife. Don't worry to much about dangerous fish and so. Be carefull though about tides and current. Most importantly when snorkeling : watch were rocks are and if in rougher water, be careful not to stick your hands or other body parts in it. Fish including murenes like holes as well. They are not aggressive unless they feel threatened. Most days of the year you will have a reasonable or good view even close to shore. December till February will have some murky days, with quite rough seas. With the sea purging itself this is not the best time for snorkeling. For diving this does not make such a big difference since this normally is further out in sea and deeper and as such clearer (still rougher though !). Diving of course gives you a longer time underwater with options to go deeper and to take a closer look at the wonderful underwater world of Tobago. 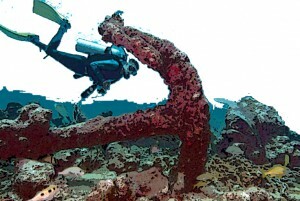 There are a number of dive-operators and a wide variety of dive sites. Beginners till experts will be able to find a suitable dive. If you can't swim so good, or afraid in the water, try the glass bottom boats. If you enjoy looking the wildlife there's a good chance that your next step will be snorkeling or even diving. You were diving or plan to do it and wonder what kind of fish you can encounter in Tobago ? Check here for an extensive list even t be arranged by dive site.